A magical capture with stunning reflections, Fav! 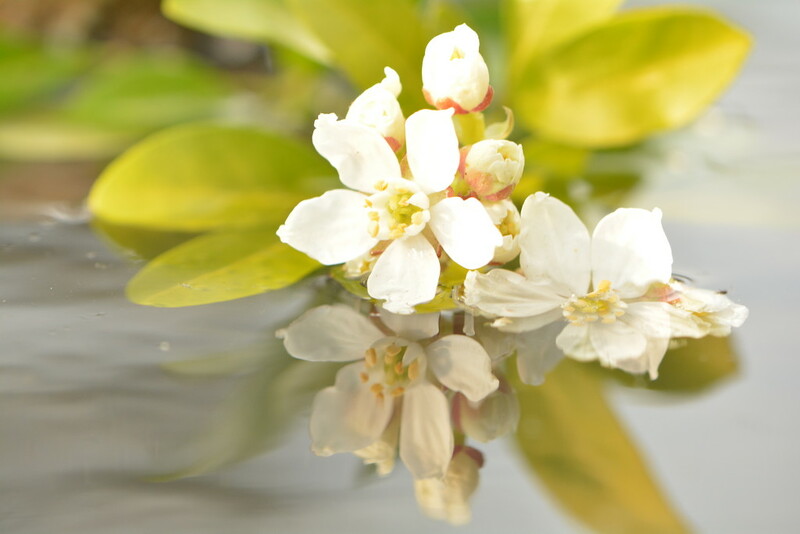 pretty flower and reflections - is it a choisya? Very yellow greens and whites.Pretty. Love the light and reflection. Very pretty shot and I like the soft colors. The reflection is really nice. Very nice reflection and DOF for sooc. I would like to sit near that on a hot day and just relax.